The headline is hype. How about “Lego faces are getting more diverse?” That would be just as true, and less misleading. Many of the recent sets come with heads that you can rotate — a happy face on one side, a scared or angry face on the other side. So it’s also true that Lego faces are getting sadder, more surprised, more smug, more whatever — any variation from the standard happyface could be in that headline. 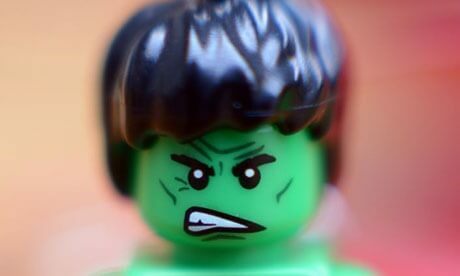 Bartneck added that both “good” and “bad” characters now carried a larger range of facial expressions – giving rise to speculation that the figures may just be more in touch with a greater range of emotions. “The facial expressions are not directly matched to good and evil. Even the good characters suffer in their struggle and the villains can have a smug expression. In any case, the variety of faces has increased considerably,” he said. —guardian.co.uk. 12 Jun 2013 in Aesthetics, Culture, Design, Modding, PopCult, Rhetoric.